Slowly but surely the Galaxy Note 7 is getting closer to its rebirth. Whatever the name might be for this explosive device, Galaxy Note 7R (R for refurbished) or Galaxy Note FE (Fan Edition), the avatar or the design will definitely be the same as the original model. That has been a certainty all along. Now a new leak has just cemented that fact by posting images of the front and rear of the Galaxy Note 7R. 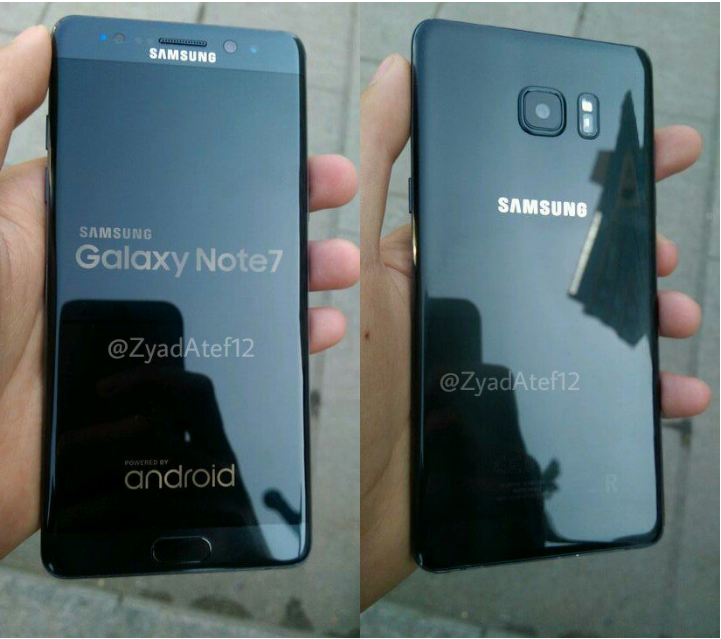 The source going by the name of @zyadatef posted two images of what appears to be a black Galaxy Note 7R. The device looks every bit like the original Note 7R. But be forewarned, the front screen shows ‘Samsung Galaxy Note 7’ on bootup instead of Galaxy Note 7R. There is a very light colored ‘R’ shown at the back which also doesn’t look very convincing. It is a bit intriguing. But the source has now removed the images that make us believe the images are legit. The Galaxy Note 7R received a Bluetooth certification a couple of weeks back and before that, it has already passed the FCC and has also been WiFi certified. In terms of specs, we know it will be every bit the monster when relaunch happens. It might have two variants as per a reported listing on a Chinese retailer’s website. One with the smaller capacity battery of 3,200 mAh. The other with the same 3,500 mAh capacity. Wonder who would buy the second variant? The price of the Note 7R is expected to be in the range of $520-$580.